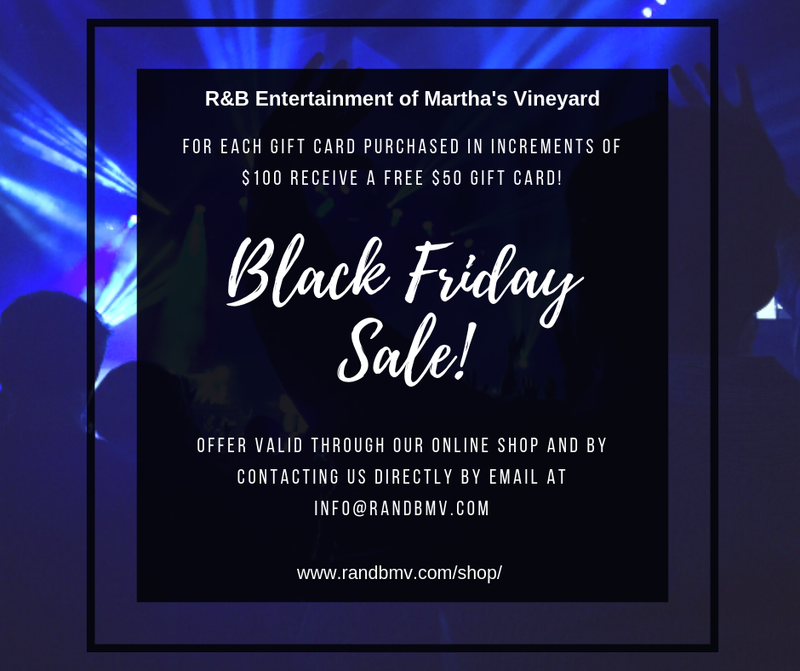 This is the first year that we are running a Black Friday Deal and we’re really excited about it! Whether you are purchasing for yourself, a friend or family member, who are we to judge? There is always a reason to celebrate something, so why not get in on some huge savings right now? Planning a Martha’s Vineyard Christmas Party? Summer Event? A Martha’s Vineyard Wedding? It really doesn’t matter the occasion, either way we just hope you’ll let us celebrate it with you.